One of the Most Beautiful Things You’ll ever See. Disney’s Frozen Laser Show & Fire works. We “camped out” for 3 hours at the Main Street Station balcony to have a perfect symmetrical view of the Disney fireworks. We recommend this spot to see the Disney fireworks on 4th of July. The fireworks show at Disney was amazing. After the show, everyone started to leave the park. But we stayed to get one last look at Cinderella’s castle. To our surprise, Disney dimmed the lights to begin their laser and cinema projection show. It was one of the most amazing things I have ever witnessed. The Frozen segment in particular gave me goosebumps! Here it is in 4K shot on a Sony a6500. Enjoy. Just found this spot for taking really unique pictures in Miami. It’s great for portrait photography with a small budget but have the look of having traveled to an exotic location. 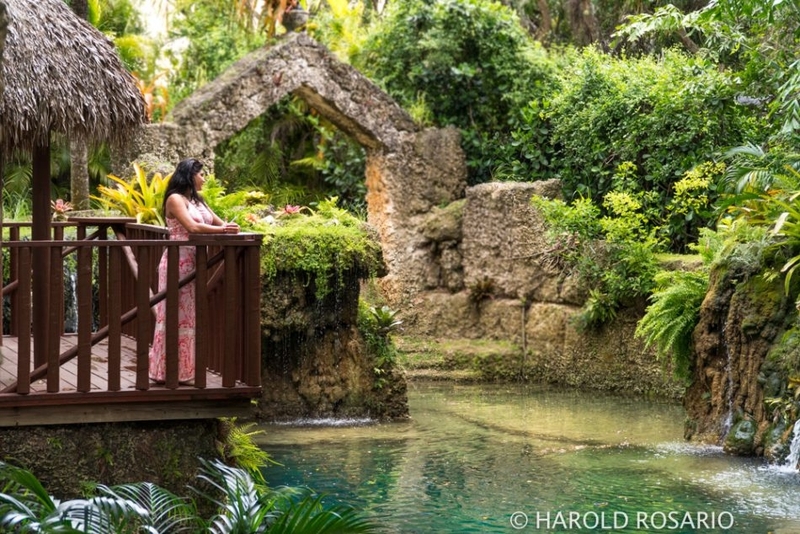 Located about 30 minutes from Downtown Miami, The Secret Garden is a lush outdoor studio that makes pictures extraordinary. We had a FREE tour of the property and these reconnaissance photos of the property. Below is the address to the Secret Garden but note that outside its Labeled The Coral Garden so be careful to not get confused like we did. 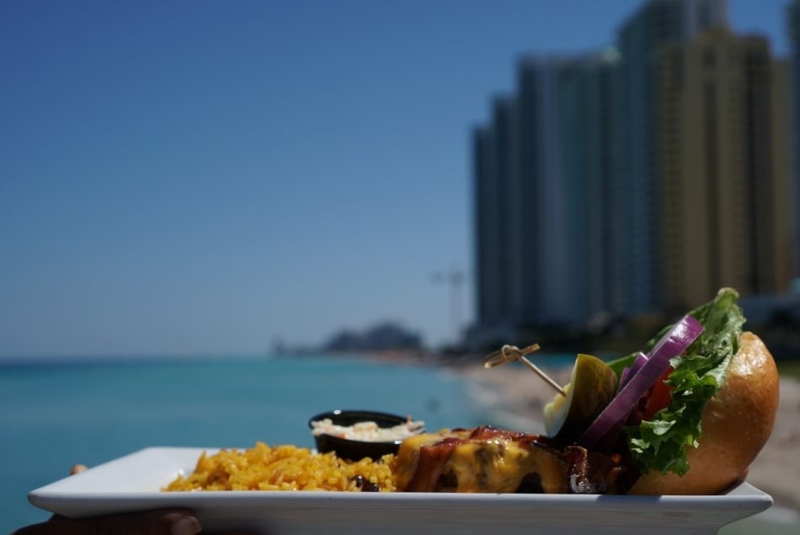 Check out some of the pictures we took at this exotic location just minutes from Miami. More pix press button Below. 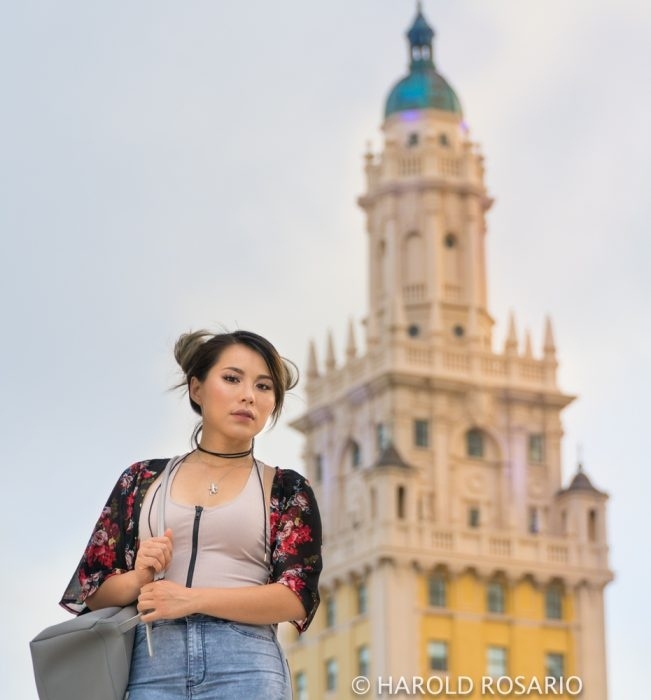 If you haven’t met one of Miami’s most talented make-up artist, Sandy Tang, take the time now. We had the pleasure of Photo Interviewing Sandy Tang aka Sand Muffin. We got to see personally her flawless cosmetic skills. 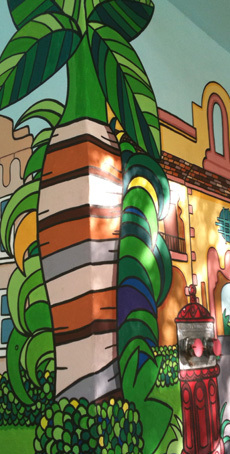 See for your self in these pics we took in Downtown Miami. Also to look at make up artist Sandy Tang’s more creative works, see her on Instagram at @SandMuffin. All photo by Harold Rosario. Founder of Wynwood Tony Goldman once said that real estate was his away of saying “I was Here” to future generations long after his death. “Bombing” is a term used in the graffiti world for the act of leaving your mark across the city. 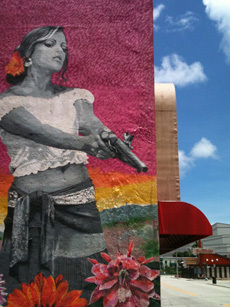 Yoga Artist, Pablo Milian has found a unique and personal way of leaving his mark around the city of Miami. He doesn’t spray paint walls rather places himself in graceful Yoga inspired acrobatic poses all across the city and captures the moment in photos. From scenic backgrounds to architectural structures, the next interesting location for an acrobatic photo is always a brainstorm in his mind. We had the pleasure of meeting up with Pablo and capturing him in action. 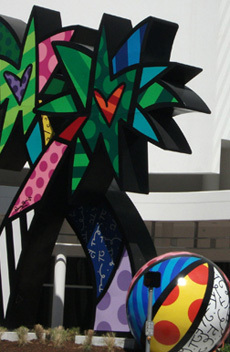 We sent ArtofMiami.com’s own Miami Photographer Harold Rosario to collaborate with Pablo and the photos were amazing. Take a look below at some cutting edge photos of Pablo Milian at some unique places in our city of Miami. 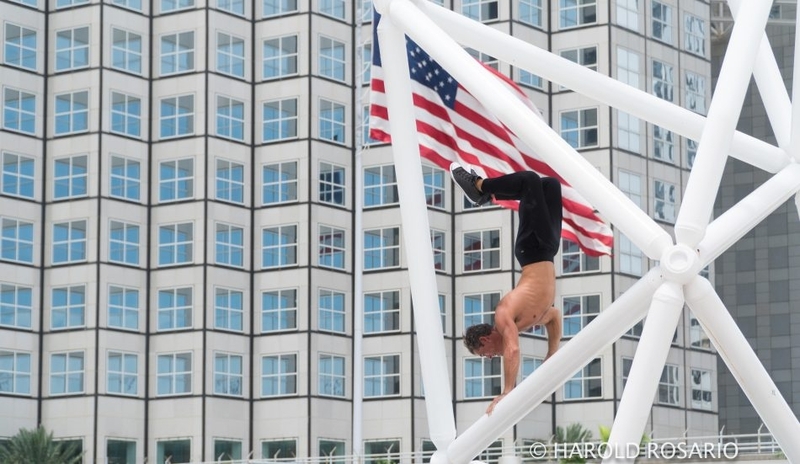 For more photo of the Pablos acrobatic and yoga artistry click here for his Instagram. We found the perfect restaurant to take your mom out for MOther’s Day. 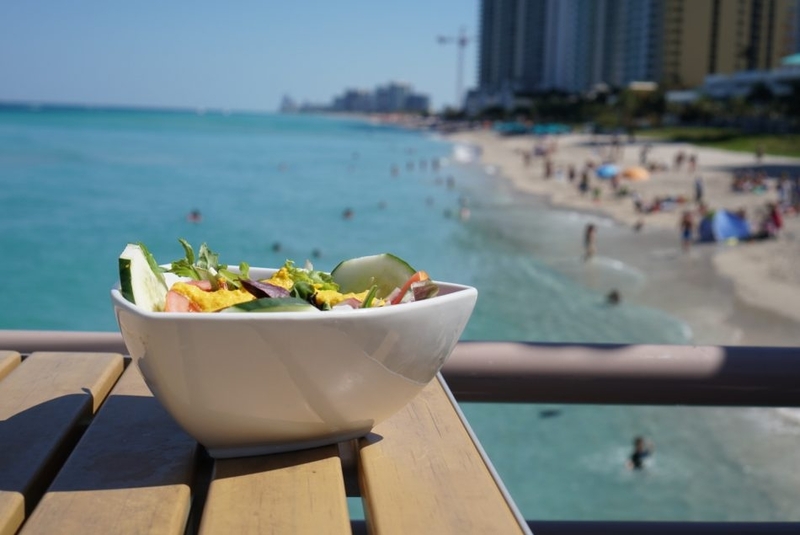 It has what I thin is the most scenic view out of all restaurants in the Miami area. Its called Beach Bar at Newport Pier. Call 5 minutes ahead of arrival to get a seaside seating on the pier. When we went the weather was perfect. South easterly winds made the waters calm and transparent. 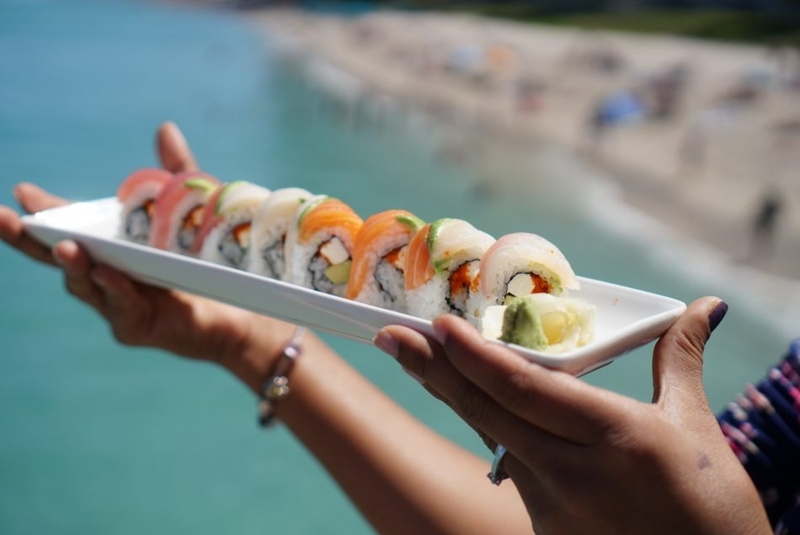 The menu for non-seafood eaters at Beach Bar is limited but seafood choices are plentiful . Since I’m allergic to seafood it is imperative to have my meal cooked on a separate pan and or grill. The staff is always more than pleased to accommodate my needs. We took my mother in law for a late lunch and she loved it. “Its like going on a mini vacation” were her words. Trust me, go at noon or mid after noon, this is the time the waters are a brilliant turquoise and picture opportunities are optimum. One last thing. If parking is scarce, park at the Newport Hotel next door. Its $10 if you spend at least $50 at eh restaurant. 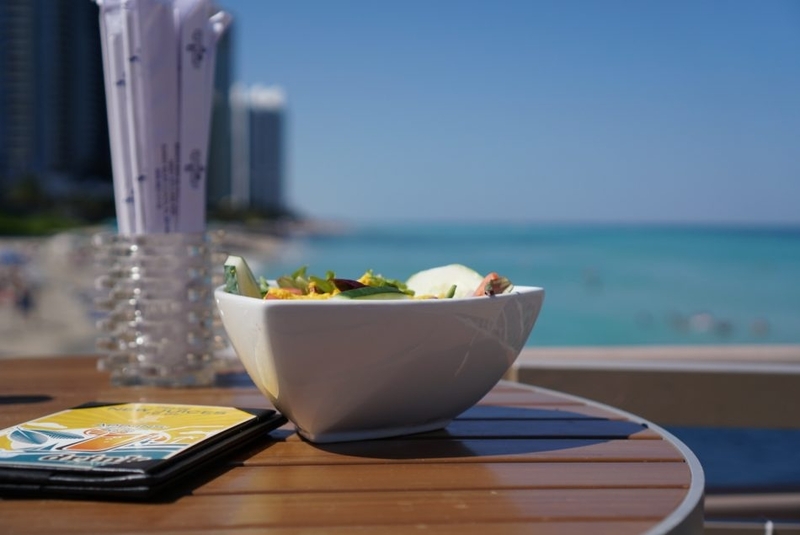 Check out the video of our experience at Beach Bar at Newport Beach. Press play below. 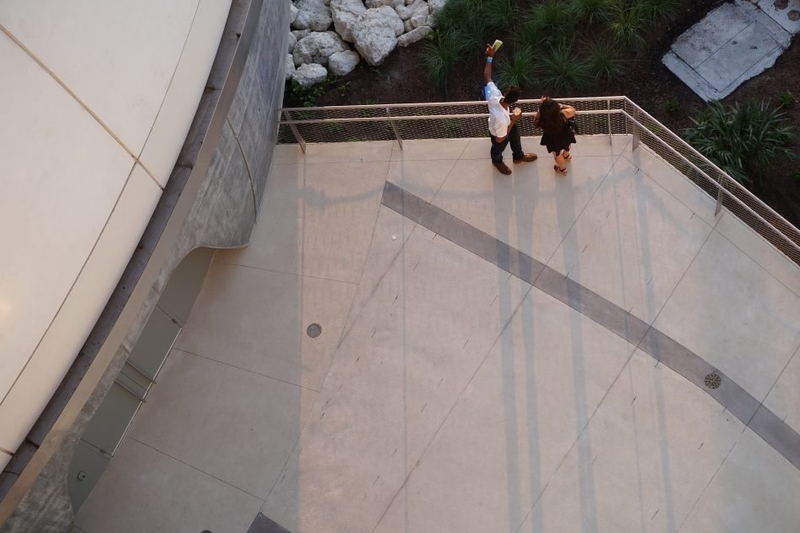 Tuesday we had a great time at the new Frost Science Museum which hosted its first social event by invitation only and sponsored by the Miami Downtown and Development Authority. Our first experience and what came to be the highlight of the night was the planetarium’s 4D experience. It took us on a virtual tour of our galaxy. We flew through space, pass our neighboring planets to then finally pierce the earth’s atmosphere. 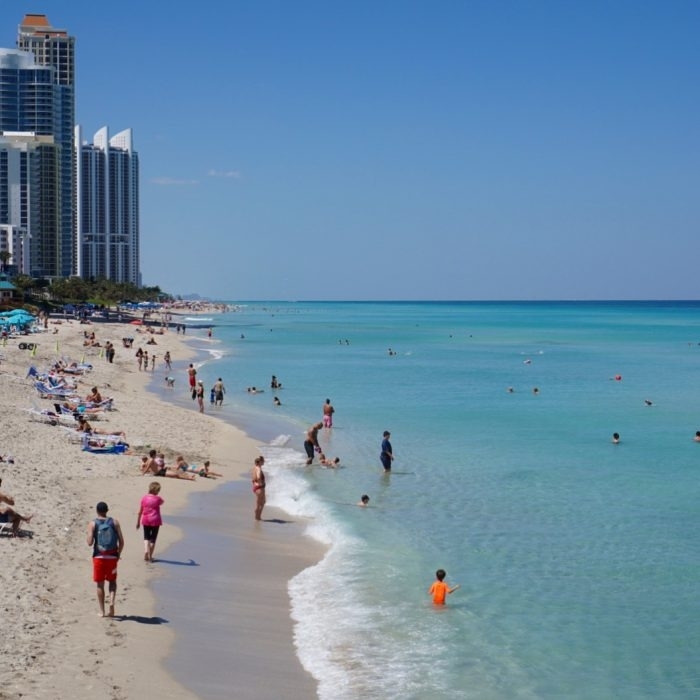 As we made our approach to the city of Miami the crowd cheered with pride. I am getting goose bumps as I write this, for that moment was quite dramatic. Unfortunately the audience was left with a taste for more. 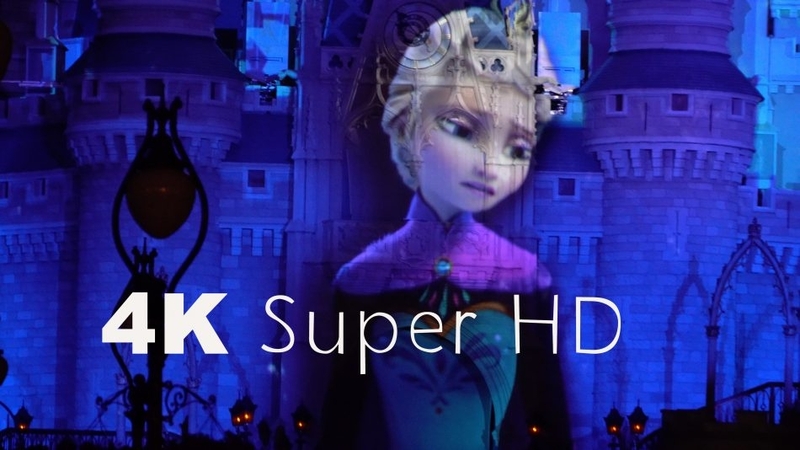 A sneak peak of the 4-d 8k visual display was all we were going to get. Yesterday May 6, we had the pleasure of attending the opening of the Phillip and Patricia Frost Science Museum in Miami. Everyone was enthusiastic and eager to see the finished museum once and for all. One could feel the pride with in the staff as they greeted you with an open welcome smile and all to ready to answer your needs Here are some pics we took during the Red Carpet portion of the night. More pics of the interior to come soon. 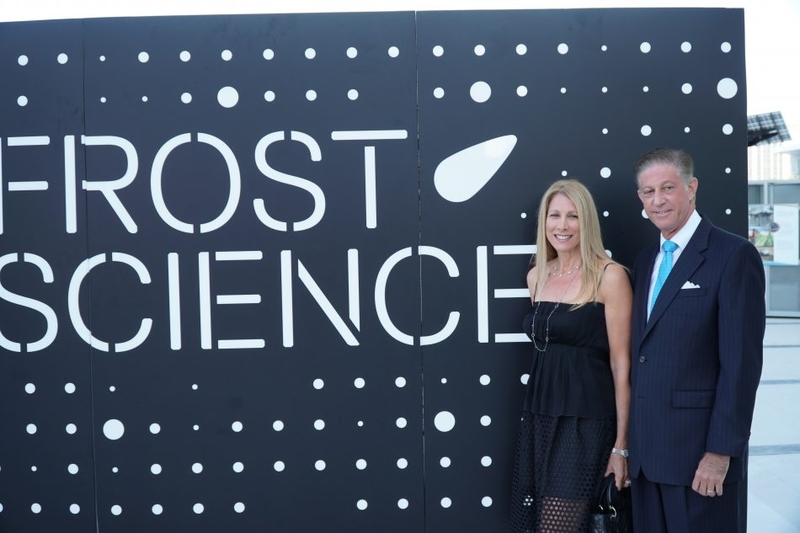 The Frost Science Museum officially opens to the public Monday May 8th. Press here for tickets and details! What better way to try out the new Sony A6500 mirrorless camera than with some beautiful and colorful cuisine. 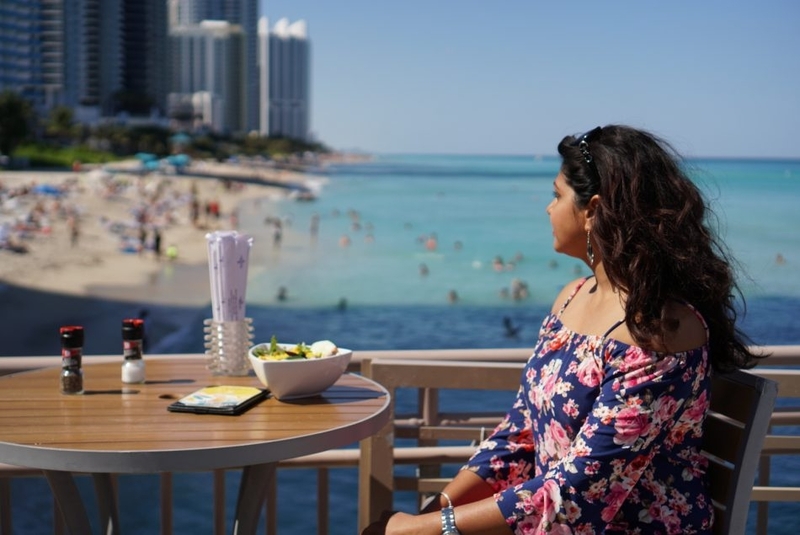 This month we recommend you guys to try the new Taste Buds of India location in Coral Gables. Groupon is running a great deal which comes out to pretty much 40% of the bill. Located right on Ponce de Leon boulevard, the new location is more inviting than the others, yet its intimate small pleasant environment. As artists we love the presentation of the food and we think you guys will appreciate it too. 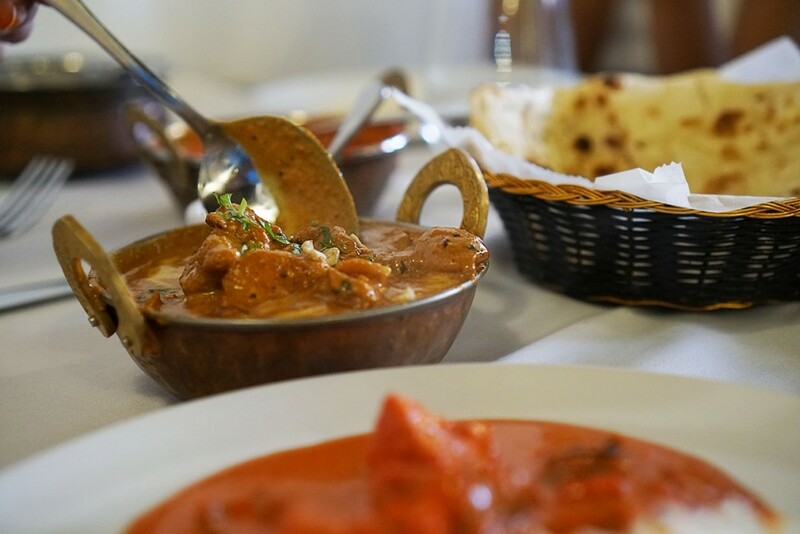 We recommend you try the Lamb or Chicken Korma. Its savory some what stew with cream semi sweet sauce. 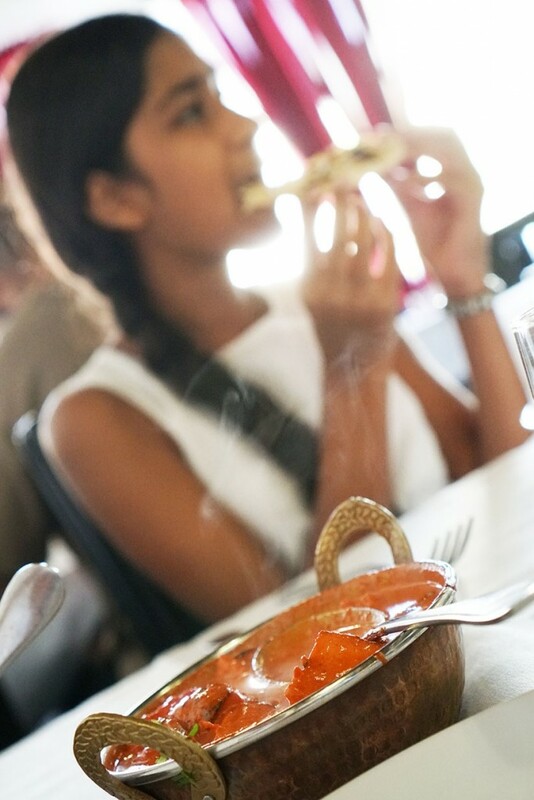 Our second recommendation is the Chicken Tikka Masala. Almost like an Italian dish with an Indian twist. If you love Italian food the sauce in this tomato based dish will have you liking your fingers. Which leads me to our third recommendation, butter naan. *As always, all opinions are my own. We were NOT payed in any way for the mentions of any product or services in the post. 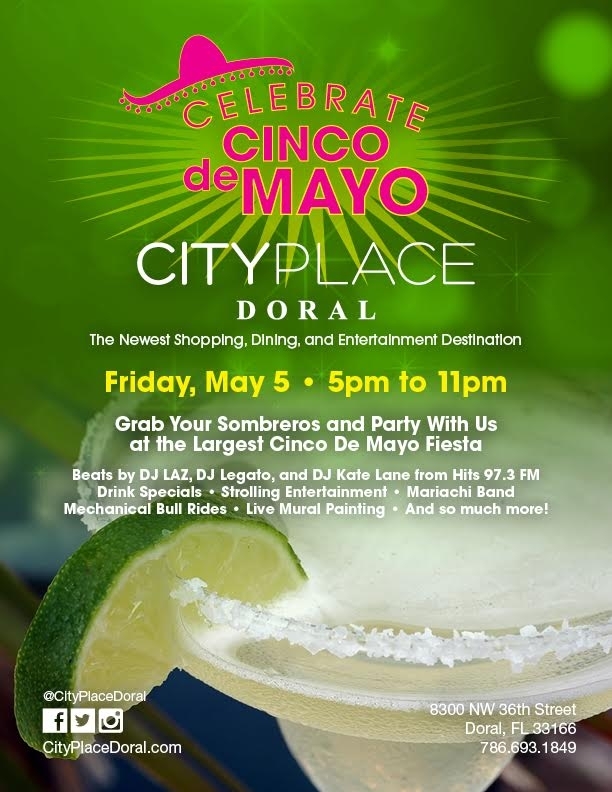 This Cinco de Mayo try a new place to celebrate, like the brand new City Place Doral. Its a real cool hang out spot. We had the pleasure to go on its opening and were very impressed, It has a great out door ambiance with bars, restaurants and music for you and family to enjoy. The center piece of the mix-use shopping area is a Vegas style fountain that is synchronized to music and lighting creating a crowd of amazed unlookers. This Cinco de Mayo they are hosting a bash! DJ Laz, DJ Legato and DJ Kate Lane from Hits 97.3 will be in attendance. Hope to see you there. Its been a while we haven’t had a noteworthy exhibit. 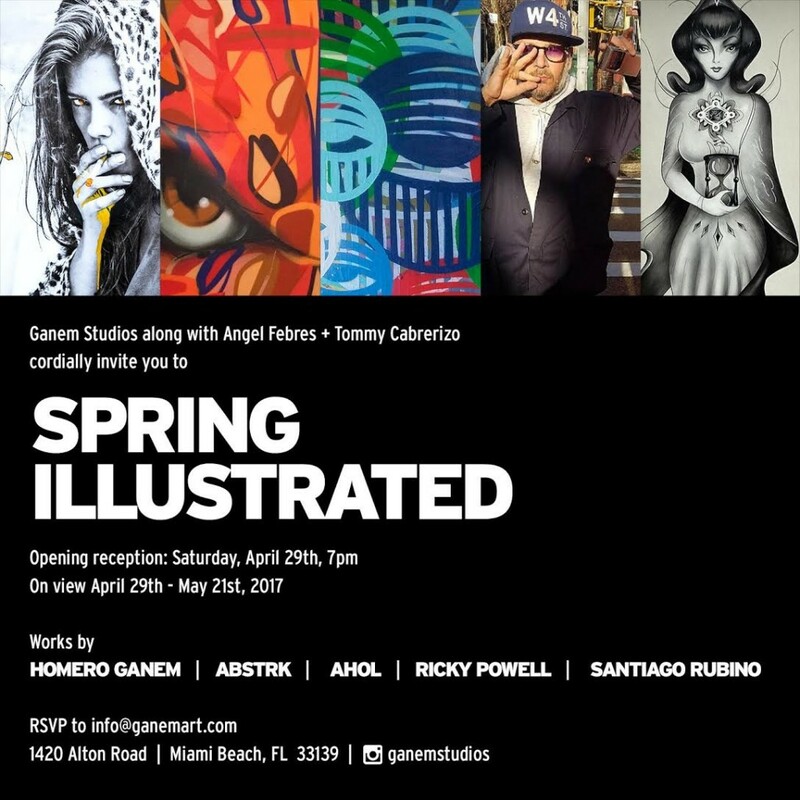 This month is an exception as Ganem Studios puts together “Spring Illustrated” showcasing some of Miami’s top Artists along with others from the emerging scene. Check them out Saturday April 29th in Miami Beach. More details on flyer above. 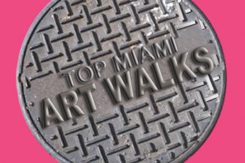 Santiago Rubino from Buenos Aires, Argentina, is a Miami Local based artist whose work is featured across the city. The self-taught artist draws inspiration from fashion, nature, geometry, mysticism, and technology. While the style of his illustrations can be described as a mixture of comic book, graffiti and animation, the light strokes of his technique created by his medium of graphite, oil, paint and charcoal, is inspired by traditional Renaissance craftsmanship. Ricky Powell born and raised in New York City, Powell is a photographer who specializes in the environmental portrait. He graduated with an AA in Liberal Arts from LaGuardia Community College and a B.S. in Physical Education from Hunter College. Though Powell initially rose to fame because of his relationship with the Beastie Boys, he is now well known for his intimate photographs that have been featured in The New York Times, the New York Post, the Daily News (New York), The Village Voice, TIME, Newsweek, VIBE, The Source, Rolling Stone, and many other publications. AHOL SNIFFS GLUE, David Anasagasti, a.k.a Alouishous San Gomma, a.ka. Contrary to the name, which is also his moniker for tagging graffiti, AHOL is anything but. Miami local graffiti artist. AHOL brought depiction of eyes to a totally new level. He became widely known for his stunning murals portraying expansive fields of drowsy eyes, reflecting his unique vision of life, labor and mundane life of the city he loves and calls home. 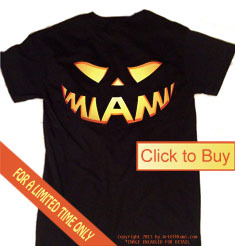 ABTRK is a Cuban American Born and raised in Miami Florida . His Family came to the USA during the 60s during the Pedro Pan and Freedom Flights exiles from Cuba . Abstrk’s work captures your eye and draws you into his pieces with movement and color.With a background in graffiti , Abstrk’s work consists of forms pulled off of outlines and letter structure as well as traditional fine art. His work can be diverse in subject matter at the same time always relative to his style-isms and shapes . 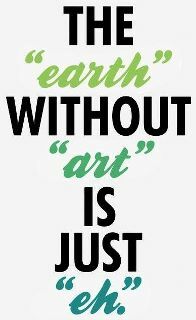 Abstrk’s work can be found on canvas as well as walls throughout the United states and the Caribbean . Homero Ganem is a Colombian artist has developed a unique style where his brush meets his photography. By collaborating imagery with his free hand artwork, he creates an intercommunication that speaks volumes demonstrating a story line that embodies real life with fiction. His exchange between different mediums creates both depth and perception that never replicates.